A Dawson County uncontested divorce is the fastest, cheapest and least stressful way to divorce. Few divorce cases, including uncontested divorces, are free from disagreement. However, in a no-contest divorce, the disagreements are worked out prior to filing, thus simplifying the divorce proceedings, lowering your costs, and keeping much of your personal information out of the proceedings and off the public record. We represent and assist clients needing a Dawson County uncontested divorce only in cases that do not involve minor children. If you need Dawson County divorce information, just call (770) 794-3220 for a free telephone consultation. You will speak to an experienced divorce attorney who will assess your situation and give you some ideas to help you with your situation. To better assist you, we recommend that you complete our Client Inquiry Form. Typically, in a Dawson County Uncontested Divorce, if you are represented by an attorney, you do not have to appear in court to complete the divorce if minor children are not involved. However, a court hearing is required to complete the divorce if minor children are involved. But, in general the decision of whether you must appear in court to complete an uncontested Dawson County divorce is up to the judge to whom your divorce case is assigned. If there must be a hearing to complete the case, we will appear at the hearing with you and typically there is no additional fee for appearing in Court with you. We will not know whether a final hearing is going to be required until the divorce case is officially filed and a judge assigned. Additionally, if minor children are involved in a contested or uncontested Dawson County divorce, both you and your spouse will be required to prepare and submit a Domestic Relations Financial Affidavit to the Court. Although there is no major military installation in Dawson County, we handle a substantial number of uncontested Dawson County military divorce matters. This can be for retired or active duty military service members or their spouses. We can help you understand how a divorce can affect your benefits including TriCare and retirement. The cost of a military Dawson County uncontested divorce is the same as for a civilian uncontested divorce. Typically, our fee for a Dawson County uncontested divorce is $425 if the case does not involve minor children. We no longer handle cases in Dawson County that involve minor children. Our fee does not include the court costs which are $250 in Dawson County. We are now able to e-file of the documents for Dawson County uncontested divorce cases. The filing fee and all e-filing costs are included in the court costs of $250. E-filing helps us move the uncontested divorce through the Dawson County court system much more rapidly that manual filing. We do not offer representation in Publication Divorces in Dawson County. Sometimes, the judge to whom your uncontested divorce case is assigned will require that you and your spouse complete and submit a Domestic Relations Financial Affidavit. This is a standard form that is used to provide a wide variety of financial information to the Court. This is not required by every judge but we are providing the form to you so that you will have easy access to it if needed. Here is the Domestic Relations Financial Affidavit in a blank form format and also as a fillable (soft) form. Either one of these can be used for any divorce case in Georgia. Both have some instructions included. 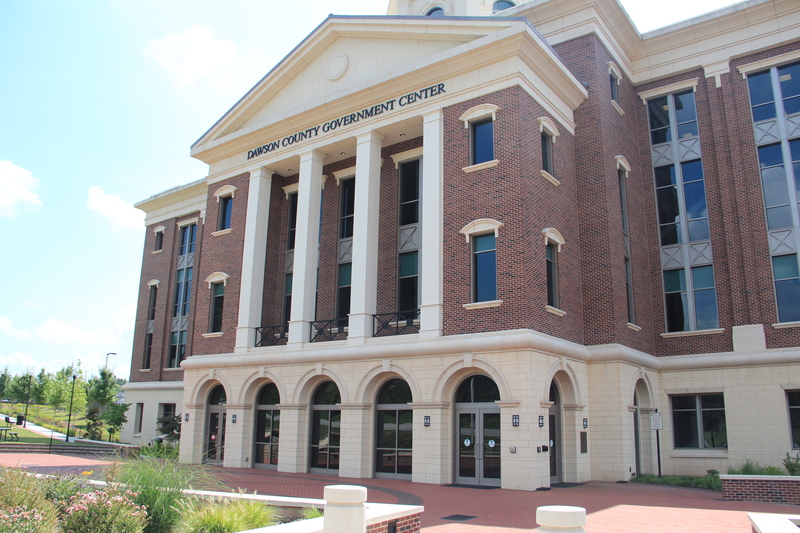 How long does it take to get an uncontested divorce in Dawson County? How does the uncontested Dawson County divorce process work?